Significant Sports today announced its association with the upcoming and highly anticipated, Kumite 1 League. The event is happening on 29th September 2018 at the NSCI Dome in Mumbai. Kumite 1 League aims at promoting the best fighters from across the globe in an MMA League format that starts off with the Flag-Off event on 29th September 2018. 24 fighters will fight each other in 9 bouts. 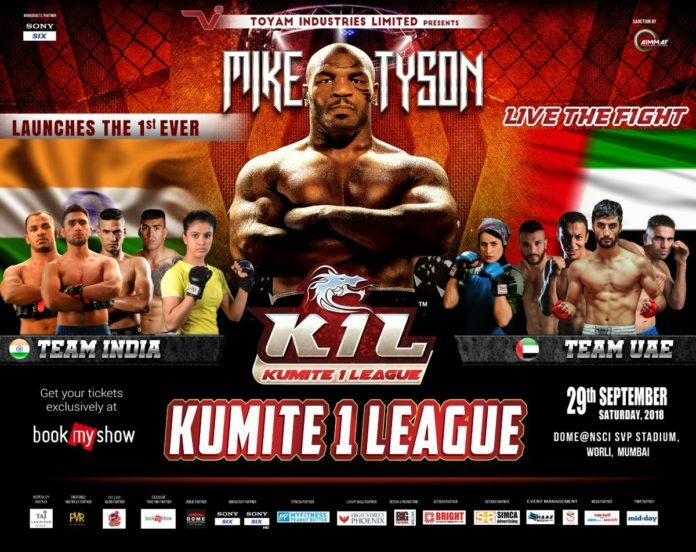 Kumite 1 League is being backed by Toyam Industries, headed by the ingenious Mr. Mohamed Ali Budhwani. The live event starts at 7:00 pm IST (9:30 pm AWST). The fight card can be found below.